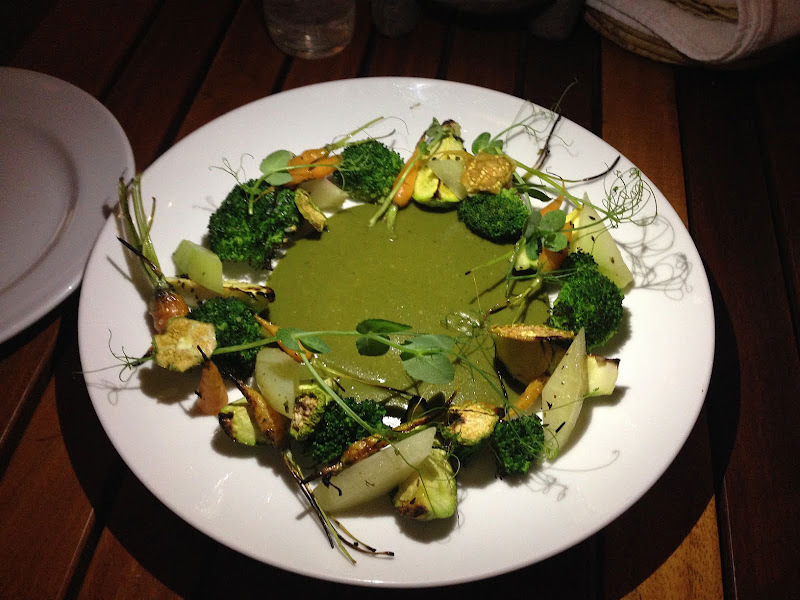 The last time I was in Mexico, I was too busy apologizing for Trump to notice how many plants I was eating. 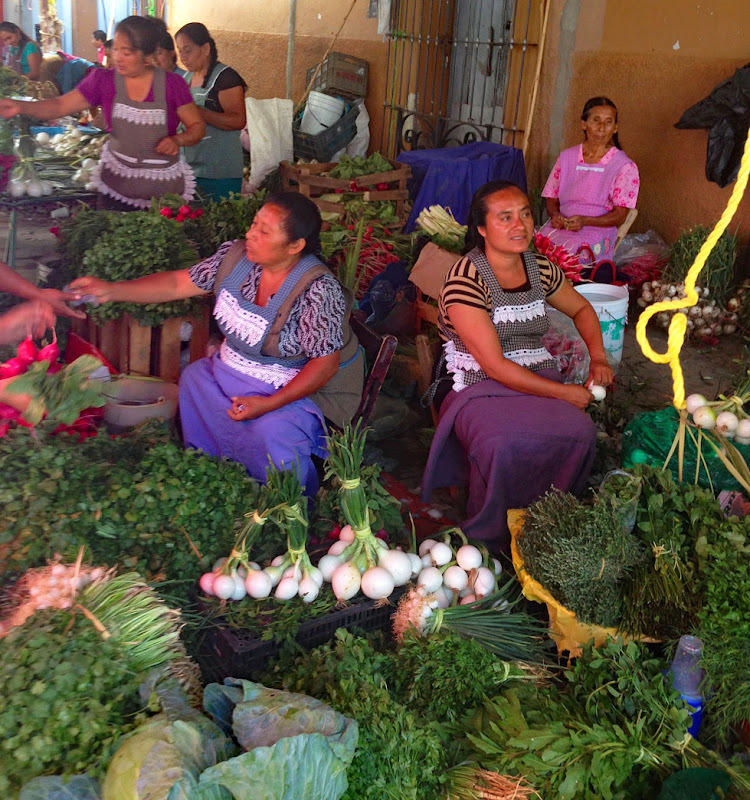 Sure, I discovered new revelations in jicama in the food-centric cities of Puebla and Mexico City, but this time I was in Oaxaca where there are more indigenous herbs, edible vegetation and creative cheffery than perhaps anywhere in the country. I had been to Oaxaca once before in 1996, before compulsive culinary impulses had hijacked every sentient cell of my being and propelled me, fork first, into unknown greenery. Sure, I had savored the seven moles, the many masa-based antojitos and the smoky mezcals, but back then, exotic herbs and edible flowers were not top of consciousness. But now I was a zen foodist, mindfully pondering every color, aroma, flavor, texture and genus, as I shared my wonderment with complete strangers in each bite’s wake. Eyes and mouth wide open, my palate was woke. This time it wasn’t just about the corn off the stalk or the liquid gold from the agave. It was the plant itself that earned my awe. 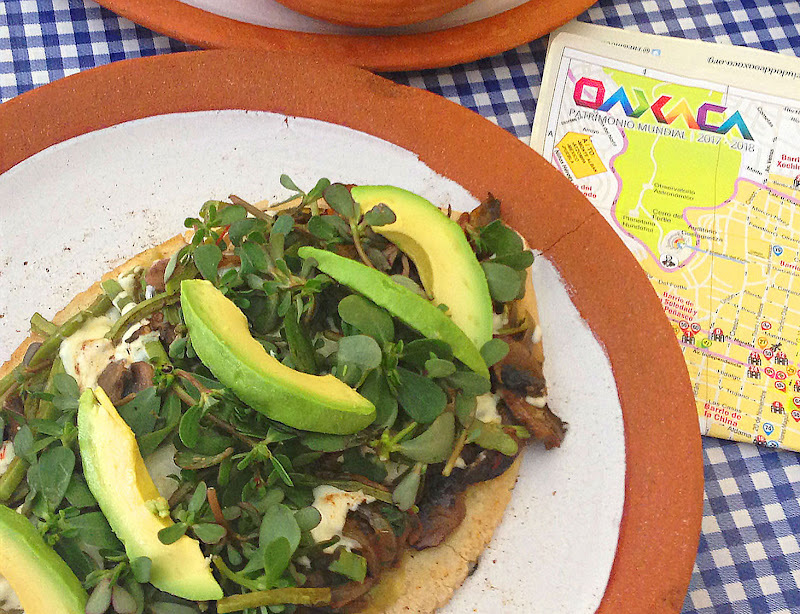 Here are eight plants I ate in Oaxaca (and no, cilantro doesn’t count). I was familiar with hibiscus tea, but this was my first foray into flower-filled flautas. 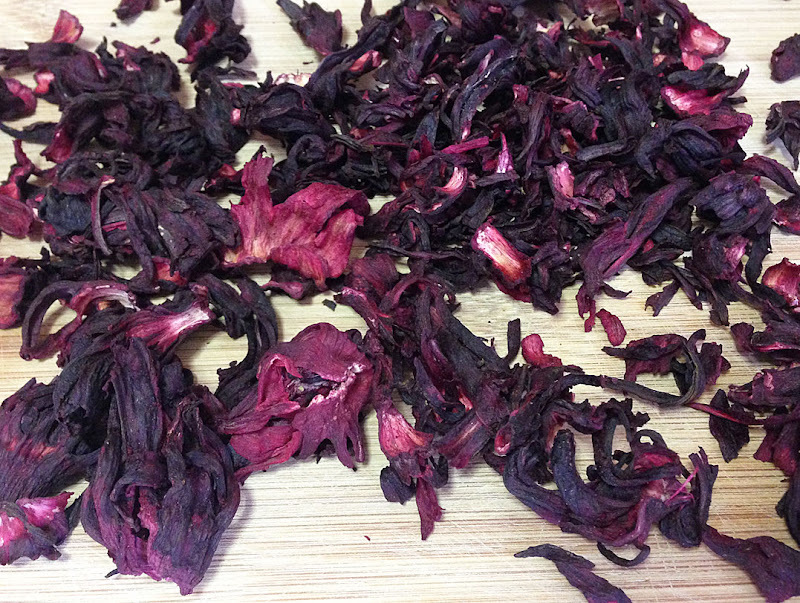 Dried hibiscus flowers were boiled and rehydrated, resulting in a meaty texture and tart, cranberry flavor. 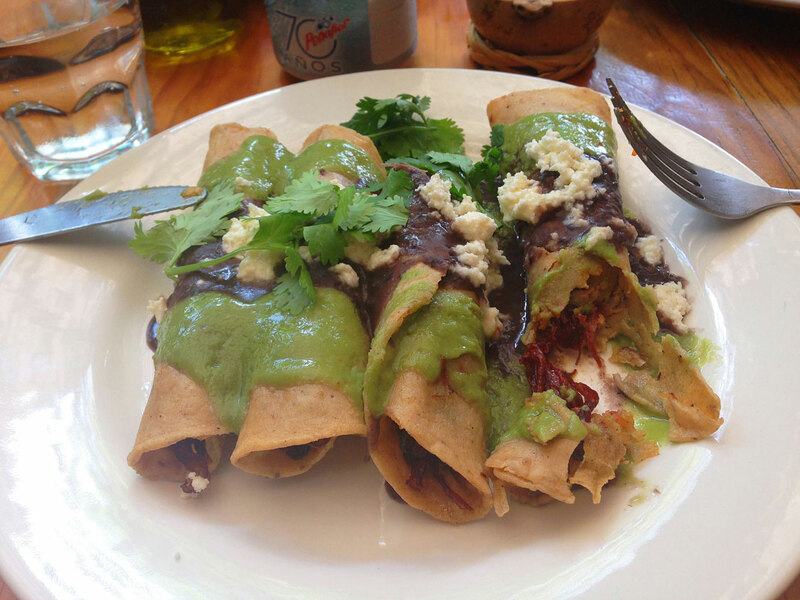 The hibiscus filling in the flautas at La Jicara was bathing in a Guajillo chile sauce, and the fried tortillas were then topped with avocado and black bean sauces. With all that sauce-on-flower action, who needed meat? While there are many species of hibiscus flowers grown around the world, the ones used in tea and cooking are mostly from Mexico, Latin America and Africa. They’re high in antioxidants, vitamin C and are said to lower blood pressure. The oil used to fry the flautas is said to raise it, so I guess it all evens out. While we may see an abundance of squash throughout the summer in the States, we don’t see a proportionate amount of the blossoms because they're highly perishable. But in Oaxaca, the blossoms are as ubiquitous as a “Resist!” sticker on a Prius. Easily found in markets, their mild flavor and colorful appearance make them a menu mainstay, from soups to empanadas, quesadillas and tlayudas—like this one I had at the Mercado 20 de Noviembre. They’re also commonly stuffed with Oaxacan cheese, then battered and fried. 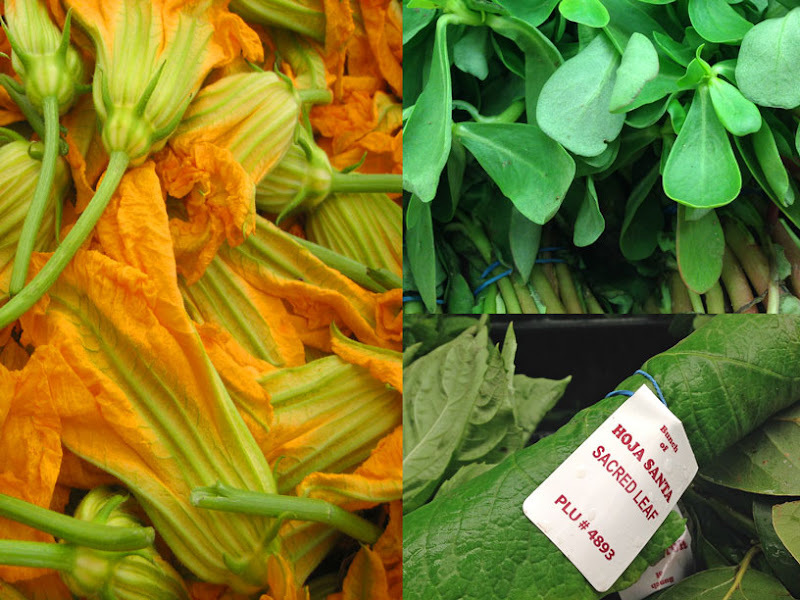 Squash blossoms even made an appearance inside my first-ever hoja santa leaf. When I saw an hoja santa leaf stuffed with quesillo and squash blossoms on the menu at La Biznaga, my dairy-free diet was definitely doomed. 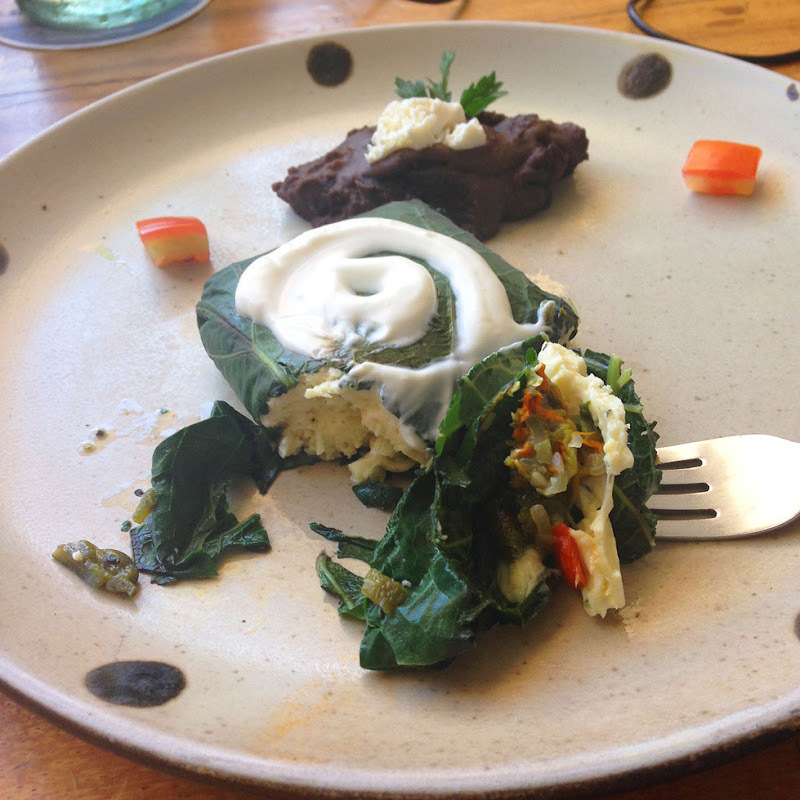 After all, this was Oaxaca, famed purveyor of fresh string cheese (quesillo), and who could refuse a mysteriously aromatic, anise-leaning leaf encasing a luxurious pillow of artisanal splendor? I couldn't help but say "hola" to the hoja. 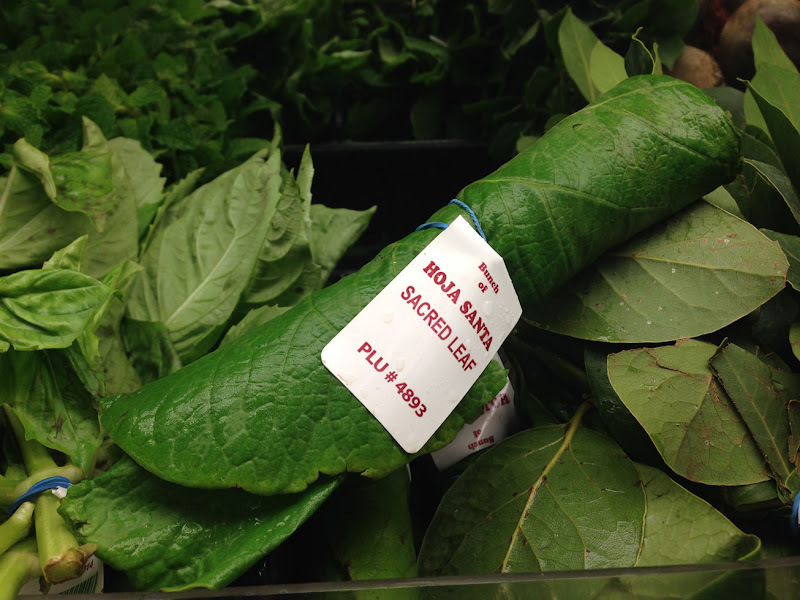 Hoja santa means “sacred leaf” in Spanish and is also called hierba santa and root beer plant since it’s a member of the sassafras family and contains safrole, a substance found in sassafras. 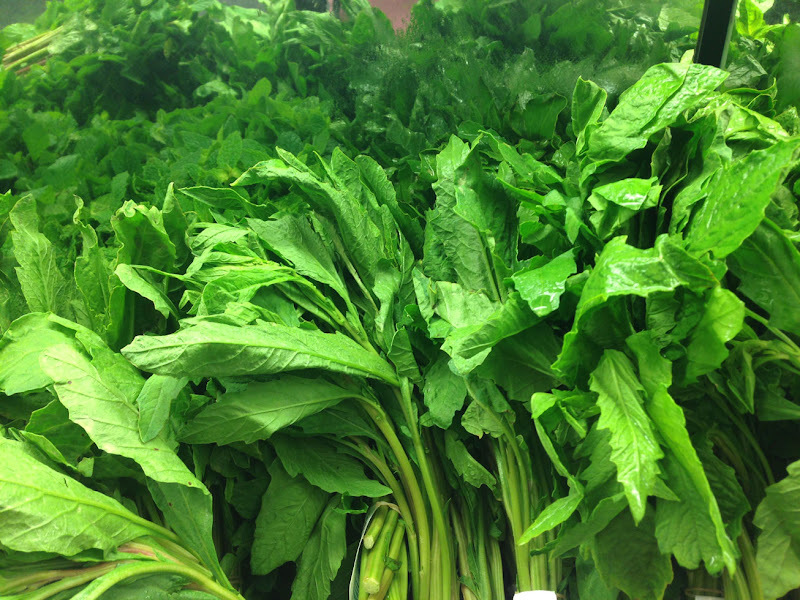 Its indescribably earthy leaves are used to wrap tamales and fish and are also found in soups, posole and mole verde—the distinctive green mole from Oaxaca. This common herb used in Central American and Mexican cooking is a member of the Amaranthaceae family, which includes amaranth, spinach, beets and quinoa, and is one of the ingredients that gives Oaxaca’s mole verde its bright green color. 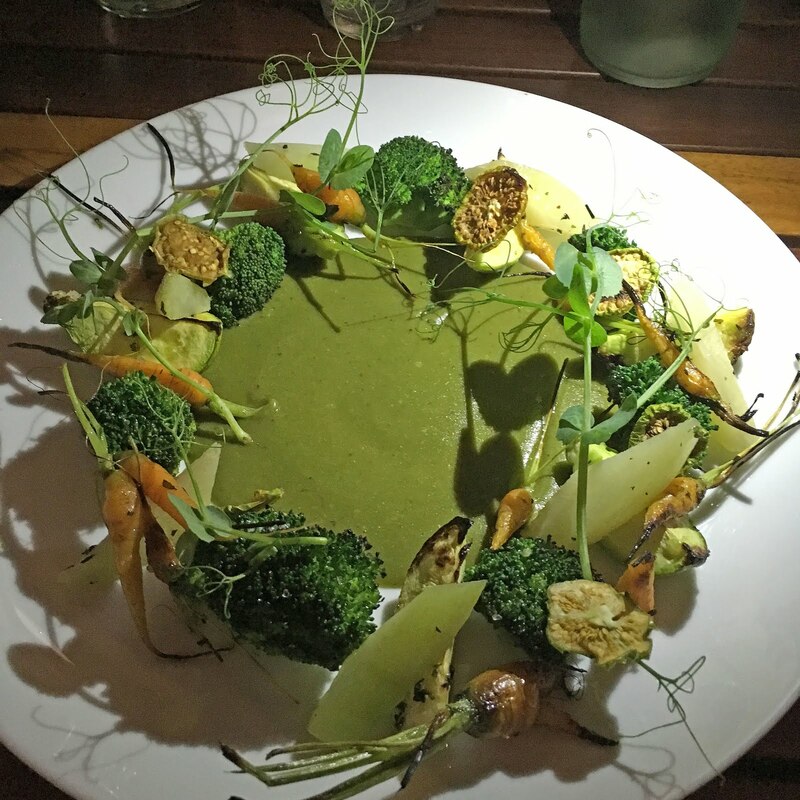 As opposed to the dark moles that contain chocolate, nuts and raisins, mole verde like this one I had at Casa Oaxaca is light and vibrant, employing fresh herbs, tomatillos and green chiles to achieve its color. 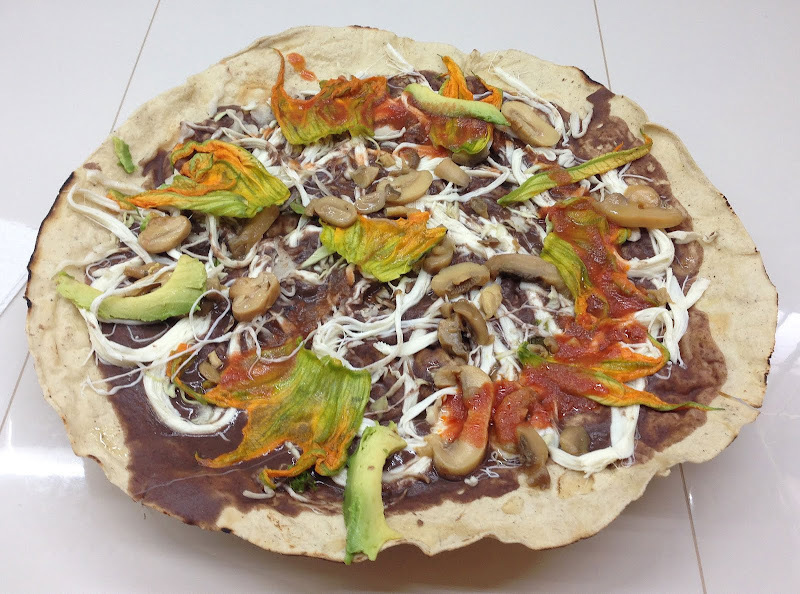 The green mole from Puebla, pipian verde, uses pepitas (pumpkin seeds) as a primary ingredient, creating a heavier sauce. Epazote is also used in soups, stews, tamales, eggs, quesadillas—even tea—and is considered a medicinal plant due to its many nutrients. It's also used to quell gastrointestinal distress, which may or may not be from the mole. Papalo is like cilantro on crack. A little of it goes a lonnnnng way. 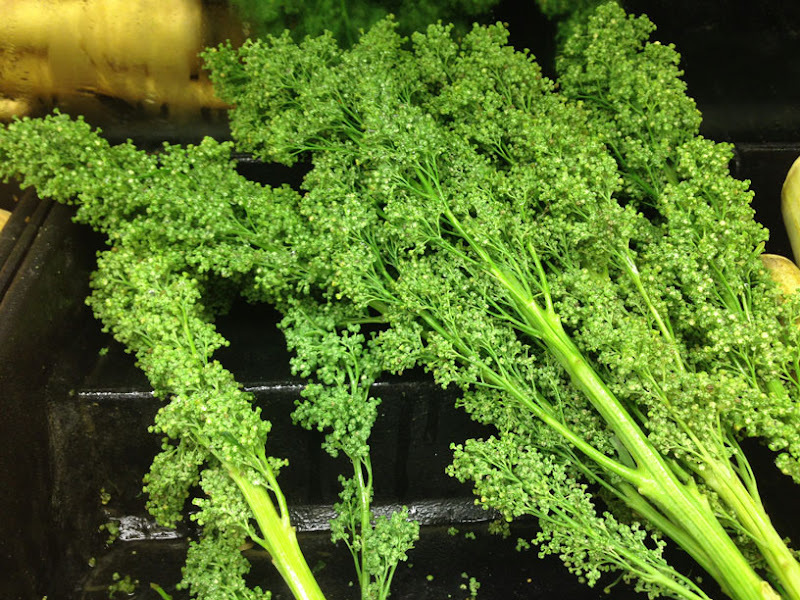 Sometimes referred to as "Bolivian coriander," it's also called “skunk weed” or “buzzard’s breath.” While papalo wasn’t in this mole, it made an elegant garnish on top of the roasted broccoli and vegetable medley. Considered a quelite, which refers to a host of wild greens native to Meso-America, it’s used raw in tacos, salsas, cemitas and to scare off uninvited in-laws who pop in unannounced for dinner. While the flavor dramatically dies down when heated, I used some in a cooked jackfruit taco filling and found it oddly pleasing in its diminished, skunkless form—despite the papalo pundits who espouse their skunky preference. 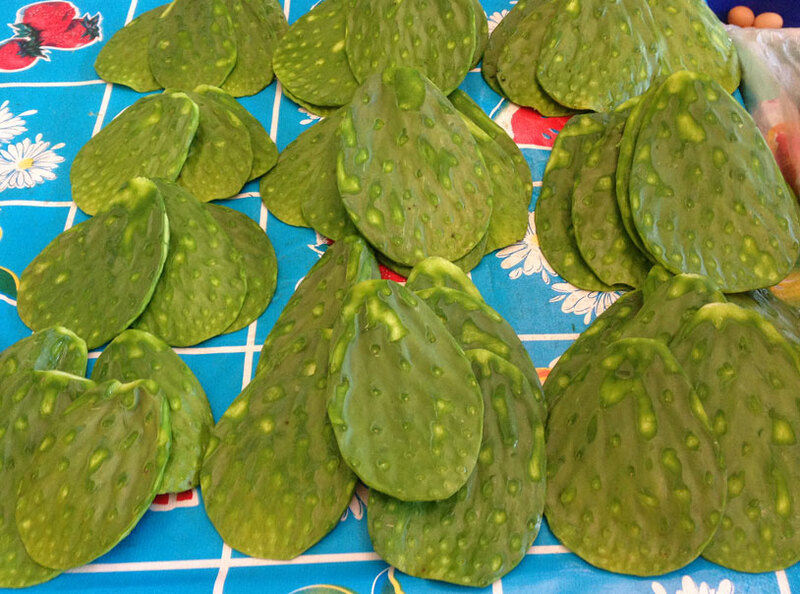 Prickly pear cactus grows all over Mexico, and the pads or nopales are extremely nutritious. According to one authority, “Cooked nopales looks like bell pepper, tastes a little like green beans and has a slightly slimy texture. But don’t let that turn you off. Without a little slime, we’d have no politicians, and who would give all those rich people their tax breaks? 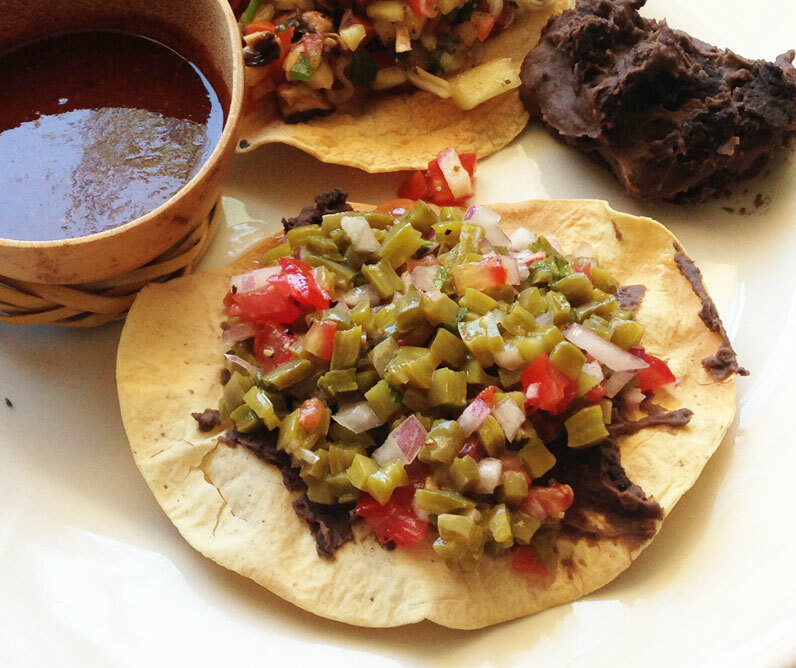 Like a politician, the nopales must have their spines removed first.” When trying to go meatless in Mexico, nopales and black beans provide all the sustenance an indigenous warrior or lazy tourist needs to partake in a human sacrifice or double-decker bus tour. 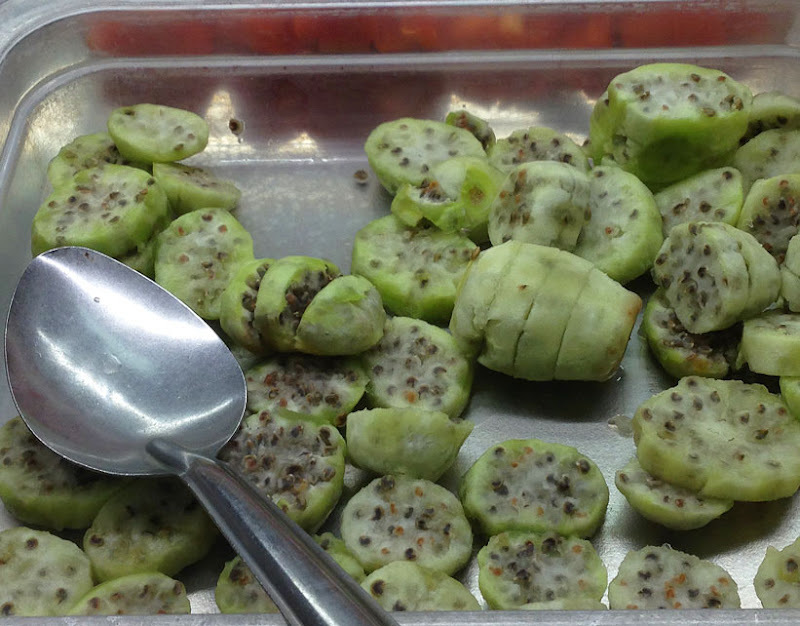 While the pads are eaten year-round, the prickly pear blossoms, or tunas, are a summer fruit found in drinks, jams, candy and many Aztec breakfast buffets. Watch out for the hard seeds, though. They're brutal! This succulent jade lookalike is a common weed that grows in Mexico, Europe, the Middle East and Asia. 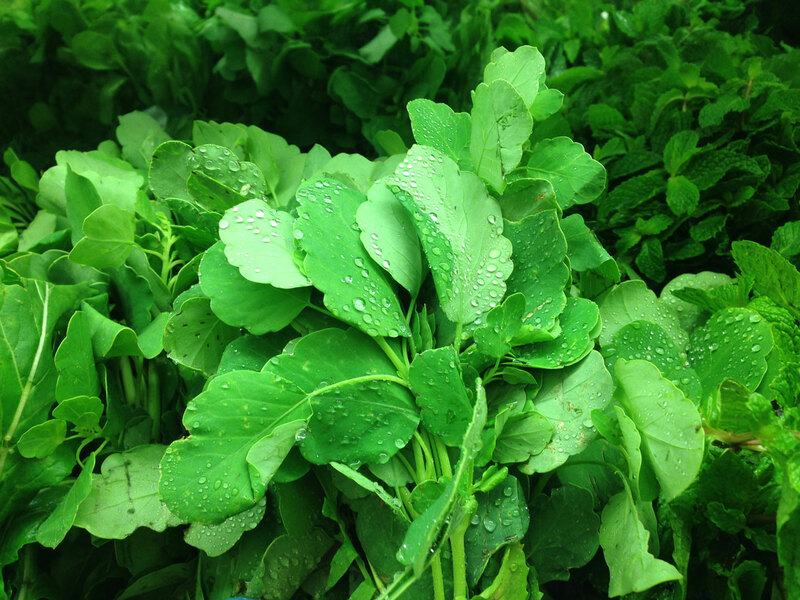 The entire plant, including leaves, stems and flowers are edible and eaten mostly raw in salads. When cooked, it has the same slightly slimy consistency as cactus. 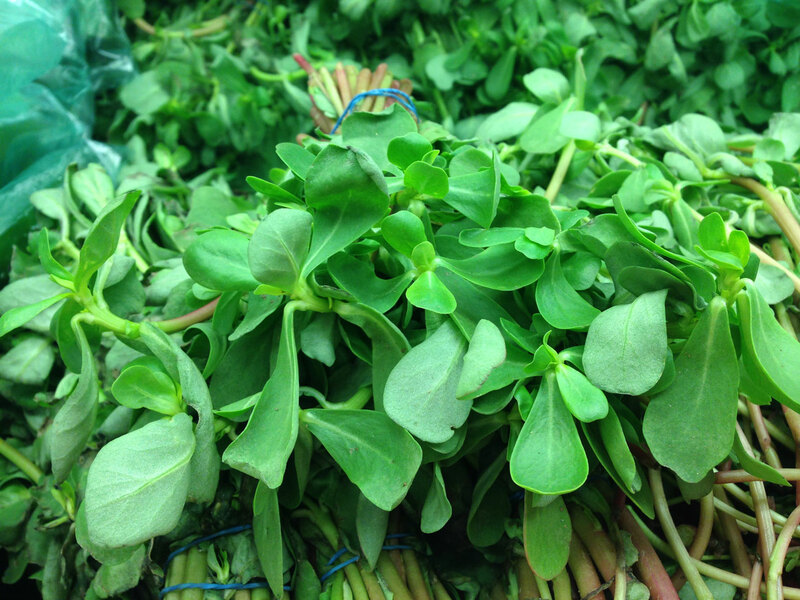 While its sour flavor may be an acquired taste, perhaps you’ll make peace with the pungency when you ponder purslane's health benefits. It contains more omega-3 fatty acids than any leafy vegetable and is so nutrient-dense, it's said to cure many ailments. 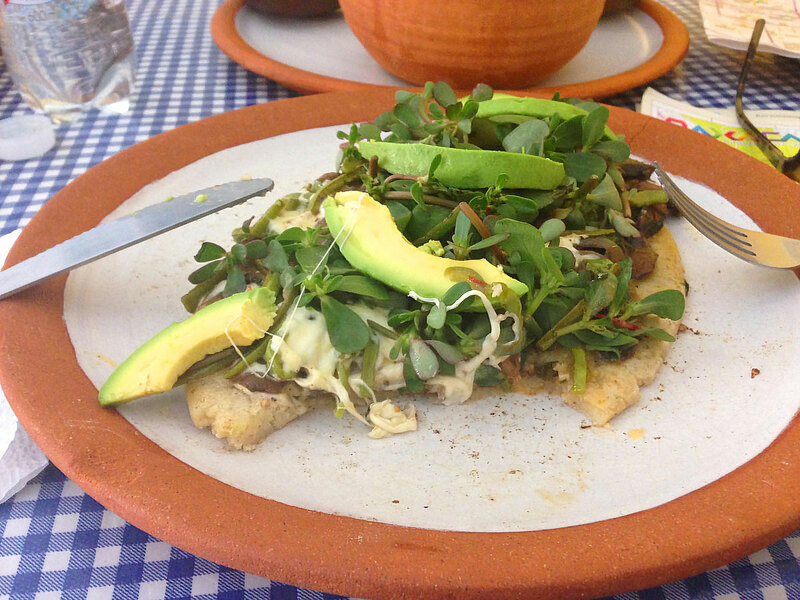 It did eliminate hunger pangs after eating this earthy nopal, mushroom and quesillo huarache at Cabuche. 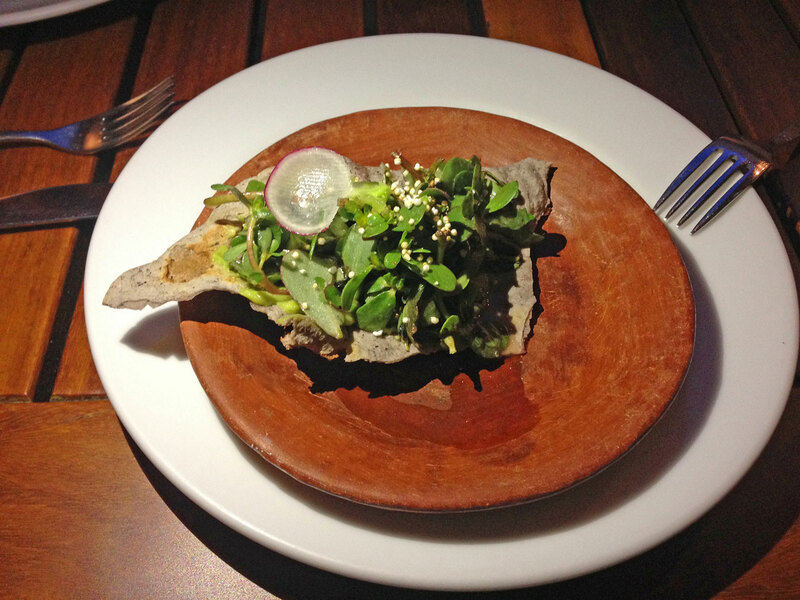 Casa Oaxaca served purslane lightly dressed atop an artisanal corn chip as an amuse-bouche, which restoratively cleansed my palate before the mole verde. Indigenous to Mexico, huauzontle translates from the Nahuatl language to “hairy amaranth.” Related to quinoa, amaranth and epazote, like purslane, it has a high nutritional profile, as the leaves, branches and flowers are all edible. 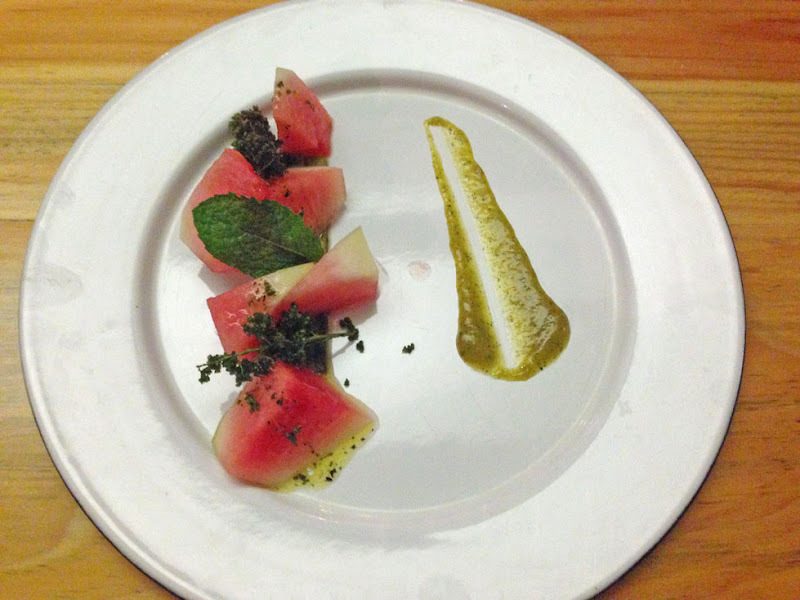 The sautéed huauzontle-sprig garnish in this creative sandia and nopal (watermelon and cactus) salad at the Agrado Guesthouse had a slight crunch and pleasing herbal pop, which made a fabulous counterpoint to the fruit and cactus (hiding underneath). While the hardy, hard-to-spell huauzontle was a major food source back in Moctezuma's day, it's debatable whether the Aztec line cooks dredged it in batter and sent it swimming in a fry basket like it's commonly prepared now. As for my new discoveries, I felt really lucky to have made them. But then, zen foodism is all about gratitude. Jicama, Jicaletas and Yam Bean, Oh My! 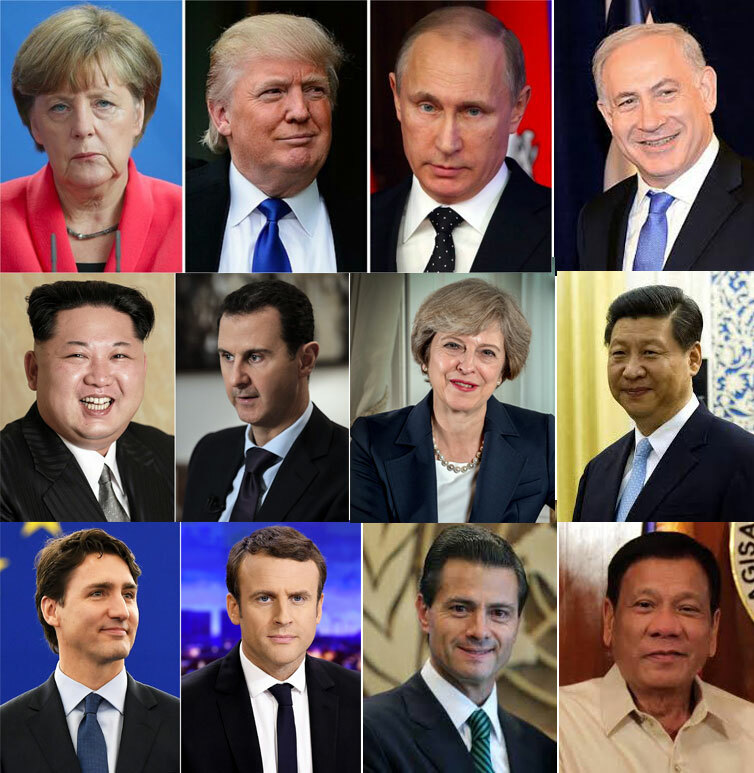 A world leader is like a pastry. They both require a precise combination of ingredients and alchemy in order to rise. 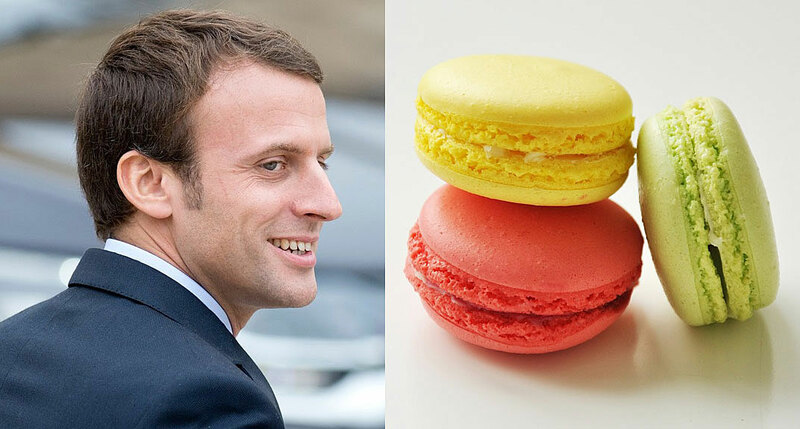 To prove it, here are the dessert doppelgängers of 12 heads of state. Nuanced, petite and sophisticated, the Macaron is distinctly French but not nativist. Sandwiched between the left and right, its smooth, refined filling appeals to both sides, while its bold color differentiates it from the more predictable pastry pack. 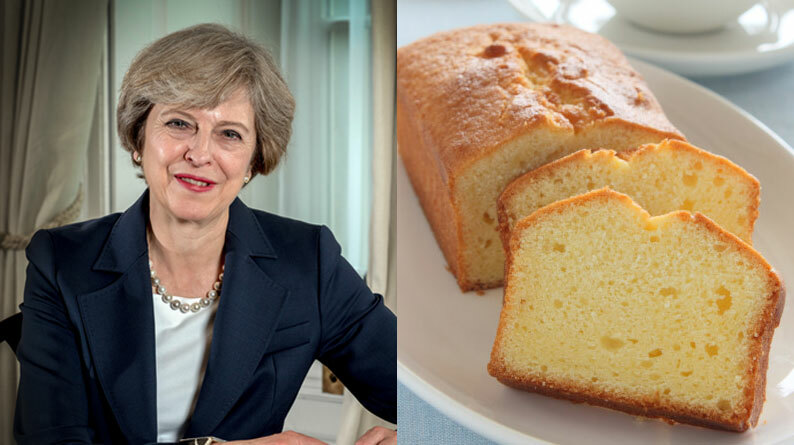 In a referendum on national desserts, the British Pound has proclaimed itself an autonomous cake with just four home-grown ingredients: flour, butter, eggs and sugar and refuses to be served on the same menu as EU confections like the Macaron. With its intense cacao overtones, this authoritative cake contains more unsweetened chocolate than other chocolate cakes, making it stronger and darker. It requires extra baking soda, raising the pH level for a chemical offensive that ensures death by chocolate. By welcoming all varieties and flavors, from strawberries and whipped cream to blueberries and blackberries, this time-tested Angel is providing lightness to the dessert world as darker, more commanding cakes assert their authority. Similar to the Devil’s Food Cake, this rich, potent cake appears red, even though it’s really dark and chocolatey under its smooth white frosting. Secret agents like Red Dye #40 have been known to elicit a red scare and cause death by red chocolate. “I’m the most beautiful chocolate cake you’ve ever seen,” it will tell you. “I’m YUGE!” Yet those with discerning taste find this tiny, mass-produced concoction distasteful and full of toxic fluff. Some even suspect that its white filling is really Red Velvet Cake frosting. Sadly, the Brownie does not enjoy the same prestige as more authoritative chocolate desserts. When even a Ding Dong claims superiority, the Brownie knows deep inside its dark fudgy interior that if it were a Blondie, it would get more sugar. 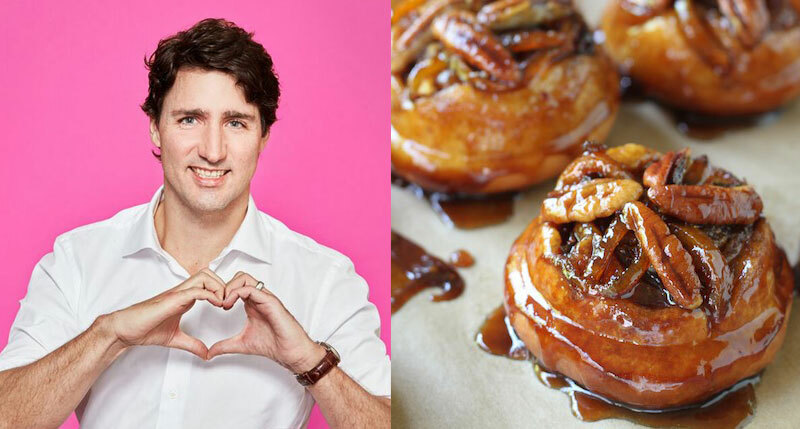 Sure, this droolworthy favorite is a hit with the ladies, but even men can’t resist that hot Canadian maple syrup oozing sweet, gooey goodness. You’d be hard-pressed to find an eater alive who isn’t ready to fork those shiny nuts. While ice cream and cake are independently divine, when served in the same confection, they are rife for conflict. Once the ice cream melts into cake territory, the Ice Cream Cake gets stirred up, and clear boundaries with a two-dessert solution is needed. While this icy, anti-pastry popsicle projects an appearance of power, its long-range capabilities are questionable since it has proven to melt upon take-off. Regardless, this is one sickle that the Communist’s pop would have agreed is the bomb. In a new era of prosperity, this cookie’s fortunes are on the rise. While appearing easy to crack to the West, it’s really a tough cookie in a position of power with a foreboding message: Play nice or beware of Bomb Pop. When the Donut Hole called the beloved Black And White Cookie a “son of a whore,” it could’ve been mistaken for a Ho Ho or Ding Dong. This d-hole is so dirty, it proves certain anatomical parts of a pastry should be relegated to their own deep fryer. 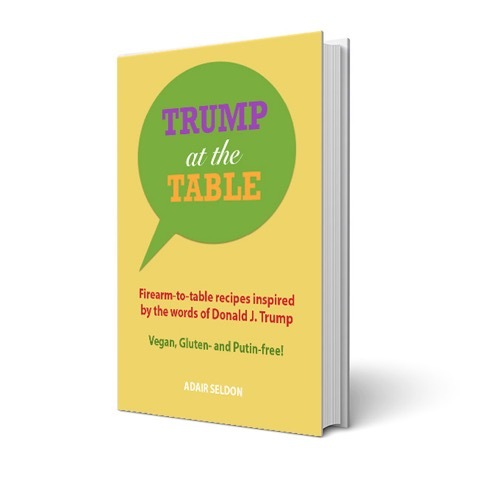 If you liked this post, check out my Trump at the Table eCookbook.